The term Intelligent Environments (IEs) refers to physical spaces in which IT and other pervasive computing technologies are combined and used to achieve specific goals for the user, the environment, or both. The ultimate objective of IEs is to enrich user experience, improve management of the environment in question and increase user awareness. 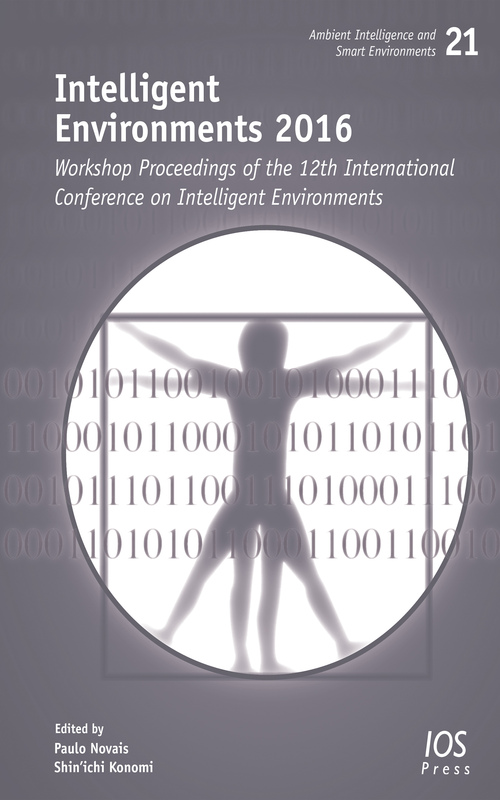 This book presents the proceedings of the following workshops, which formed part of the 12th International Conference on Intelligent Environments (IE16), held in London, UK, in September 2016: the 5th International Workshop on Smart Offices and Other Workplaces (SOOW’16); the 5th International Workshop on the Reliability of Intelligent Environments (WoRIE’16); the 1st International Workshop on Legal Issues in Intelligent Environments (LIIE’2016); the 2nd International Symposium on Future Intelligent Educational Environments and Learning (SOFIEE’16); the 2nd International Workshop on Future Internet and Smart Networks (FI&SN’2016); the International Workshop on Intelligent Environments Supporting Healthcare and Well-being (WISHWell’2016); the International Workshop on Computation Sustainability, Technologies and Applications (CoSTA’2016); the Creative Science 2016 (CS’16) and Cloud-of-Things 2016 (CoT’16); the Workshop on Wireless Body Area Networks for Personal Monitoring in Intelligent Environments (WBAN-PMIE); and the Physical Computing Workshop. The workshops focused on the development of advanced intelligent environments, as well as newly emerging and rapidly evolving topics, emphasizing the multi-disciplinary and transversal aspects of IEs, as well as cutting-edge topics. The book will be of interest to all those whose work involves them in the use of intelligent environments.